Sailing can provide adventure, relaxation, recreation, and just good old fun. To enjoy yourself on a sailboat, you need to know the basic sailing maneuvers, sail positions, and rules of the waterway for when you encounter other vessels. 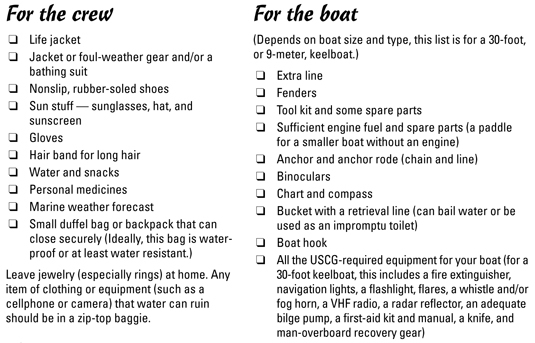 And, it pays to know what to bring aboard and what to leave on shore. 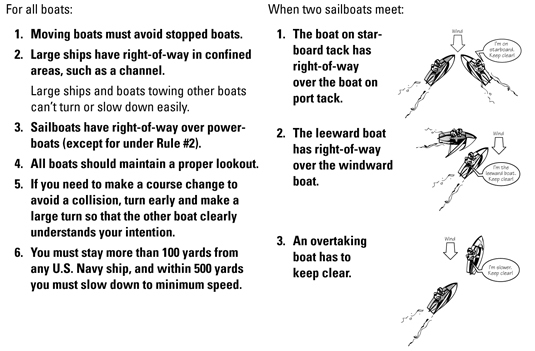 You need to know the two basic sailing maneuvers — jibing and tacking — whether you’re sailing the open seas or an enclosed lake. (Jibing and tacking take you away from or into the wind.) The following instructions and illustrations give you step-by-step procedures to accomplish both. When you’re sailing, you use specific terms to describe the position of the sail — along with calling the left side of the boat port and the right side starboard. 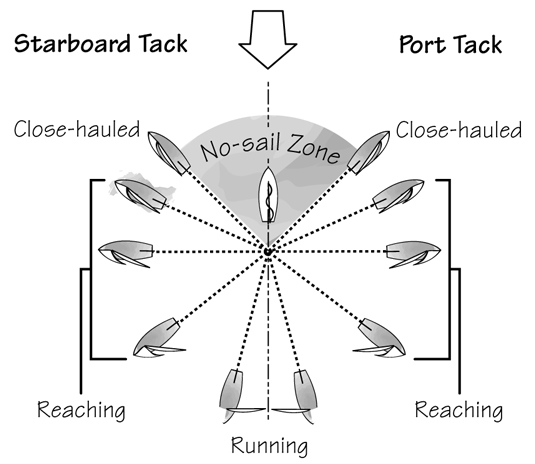 Check the following figure for the terms that indicate different sail positions.